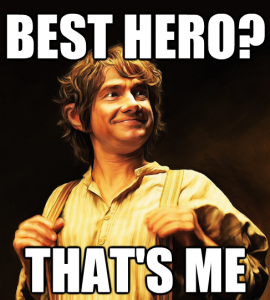 Celebrate #VOTEBILBO On TORn TUESDAY 5pm Today! Welcome Ringers to the latest installment of our LIVE show TORn TUESDAY, with host Clifford “Quickbeam” Broadway. Today’s show will investigate and celebrate the community building effort that was the #votebilbo campaign that lit the fires of Tolkien fandom around the globe. You can pop into our Barliman’s Chat Room that is built-into our Live Event page here, bring your questions and comments during our webcast! The fun begins at approx 5:00pm Pacific Daylight Time right here — we’ll see you there! Follow Cliff on Twitter at @Quickbeam2000!